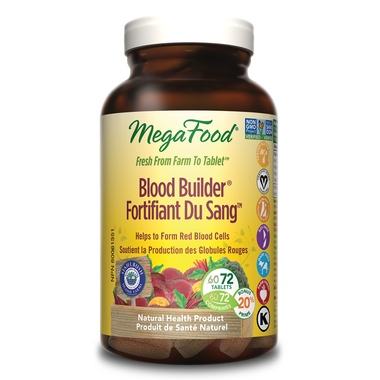 MegaFood Blood Builder helps to form red blood cells. Suggested Use: 1 tablet daily. May be taken anytime throughout the day, even on an empty stomach. This is my second jar of these and I love it so much- I notice such a huge difference in my energy! 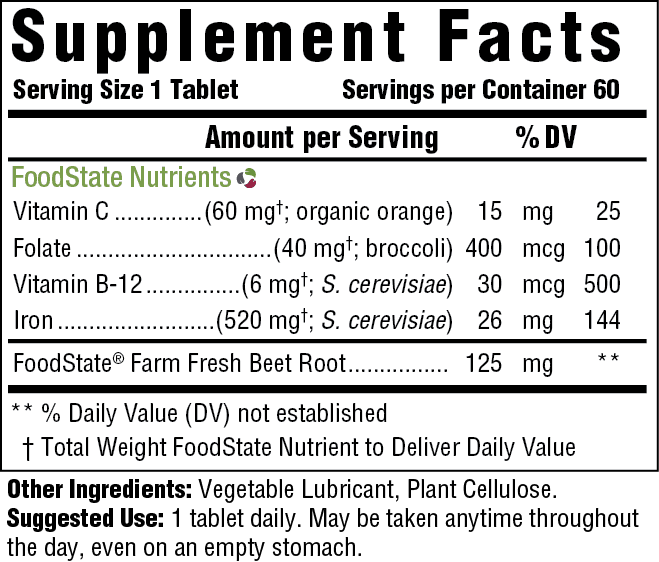 Pills are easy to swallow, have no lingering taste, and cause no GI distress if taken with food. Would purchase again. this is the best to regain your energy fast ,easy to take and it woks.